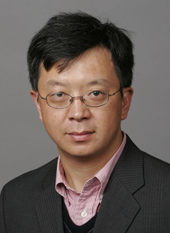 Dr. Hao Shen is an Associate Professor of Microbiology at Department of Microbiology at Perelman School of Medicine, University of Pennsylvania. Dr. Hao Shen has contributed to around 47 publications. Dr. Hao Shen completed his B.S. from Jiangxi University, China in 1983 and Ph.D. from University of California at Riverside in 1992. Dr. Hao Shen has a long-standing interest in basic questions related to generation of effective immune responses, mechanisms of protective immunity, and the establishment of long-term immunological memory. Dr. Hao Shen’s research interests include: Immune surveillance of intracelluar and emerging infectious agents, rational design of effective vaccines.